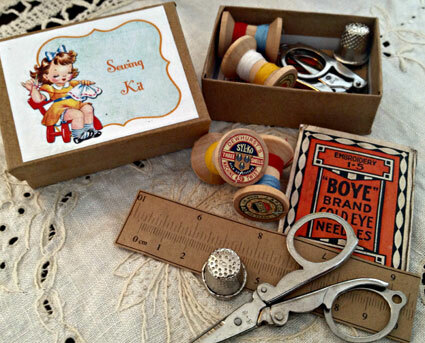 A cute little retro-style sewing kit – the perfect gift for budding young sewers or as a handy travel companion for any seamstress. Category: Cute Accessories. 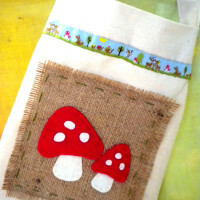 Tags: kit, retro, sewing. 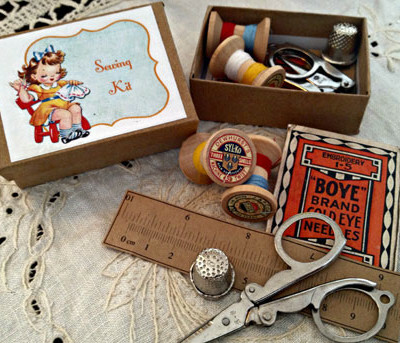 Contains a handy pair of compact folding scissors, a thimble, sewing needles and pins in a vintage needle packet, a paper tape measure and two wooden old-style cotton reels of thread. 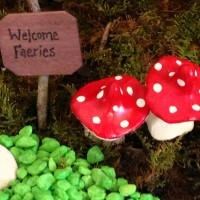 It all comes packaged in a sweet little kraft box measuring just 8cmx6cm.